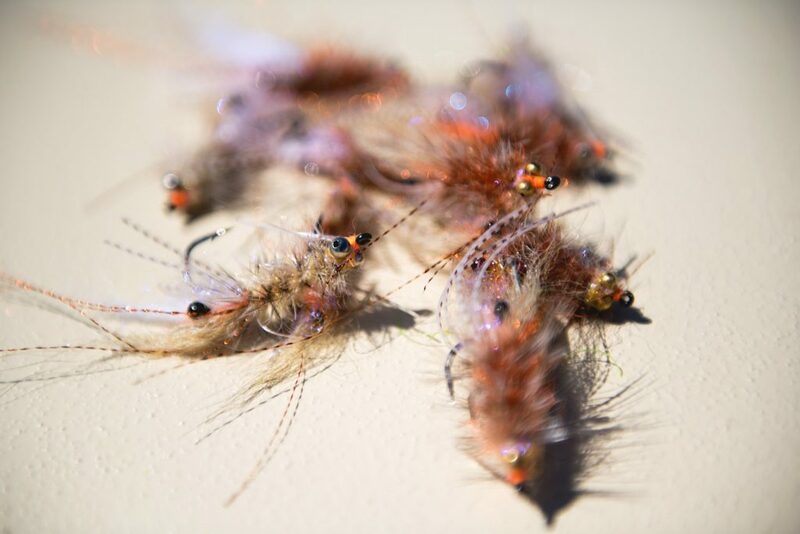 When it comes to Redfish flies selection is not as critical as presentation. Where, how and when the fly lands is everything. Most of all quick and accurate delivery in the fish’s path is paramount. 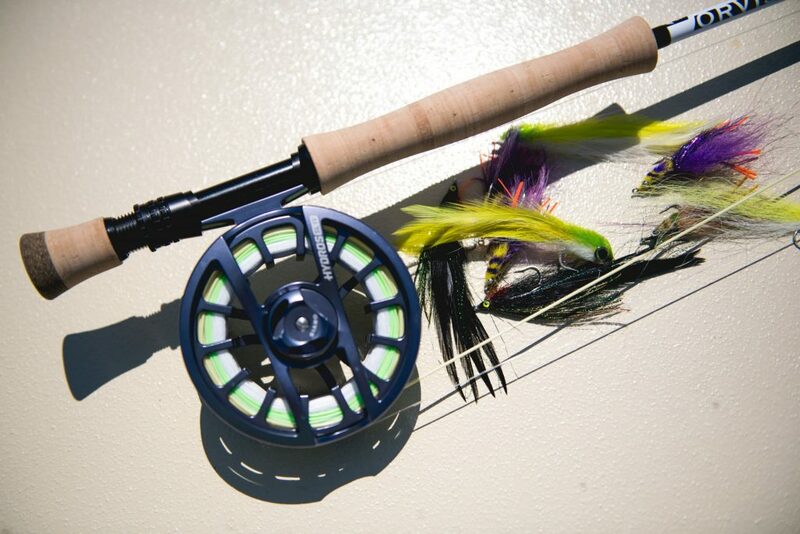 I strongly encourage fly fisherman to practice casting before any guided trip with strong focus on the double haul. The double haul is crucial ingredient to a successful day in the salt marsh. The double haul loads the rod therefore increasing line speed, resulting in longer more accurate casts which can equal more fish to hand. Proven winners for summer time Redfish! 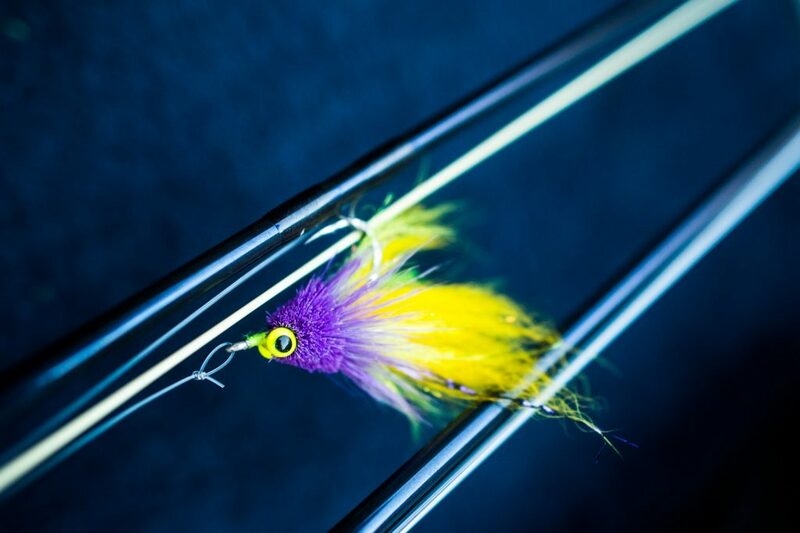 Baitfish and shrimp patters offer a solid profile which is great for off color water. Colors I do not leave home without are: Black/Purple, and Brown/Tan. Those colors will produce on most days if presented properly. During the summer months the top Redfish flies are ones that can push some water. Flies tied with materials like E.P fibers and spun deer hair are my go-to materials. The EP Rattle Mullet is usually the first fly out of my box when sight fishing for Redfish not to mention the bigger sizes are great when the Bull Drum move in for summer. Fall brings cooler water and full grown shrimp. Fall is the peak of shrimp season and the big fish really key into the buffet of shrimp in the marsh and I begin using mostly shrimp patterns. 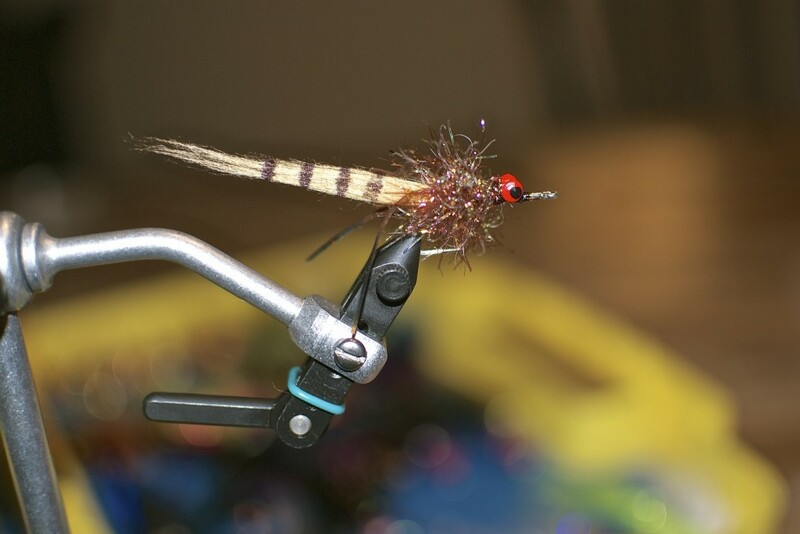 I tie my shrimp flies with craft fur, buck tail and Estaz fibers. Barring the tail with marker really gives them a shrimpy look. By the time the first cold front hits we’ll have been seeing fish herding shrimp in the shallows. The fall months are the best for sight fishing for big Reds on the flats and in shallow creeks. 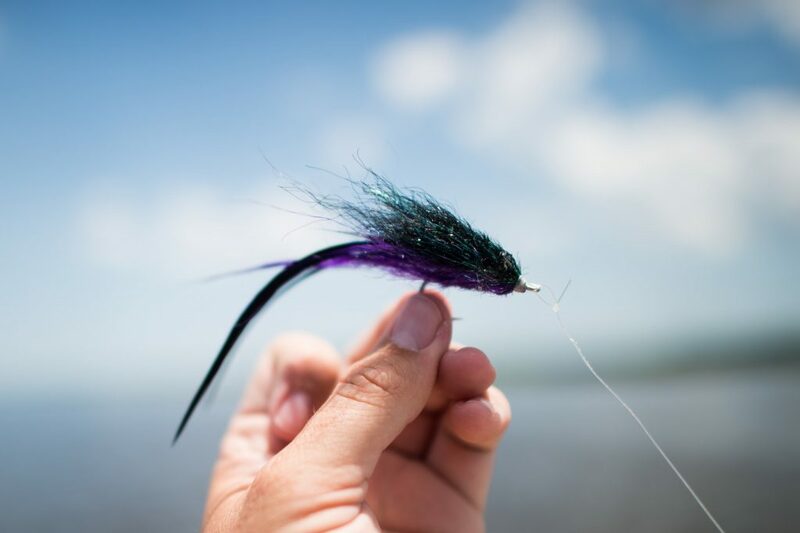 If you ever wanted to spend a day throwing surface flies for big REDFISH this is the time! Gurgles and popper flies can be lethal on fall run Reds. Top water bites are some of the most exciting eats we see all year. Watching a big drum pursue a popper in very shallow water and inhaling it boat side it is a sight to see. 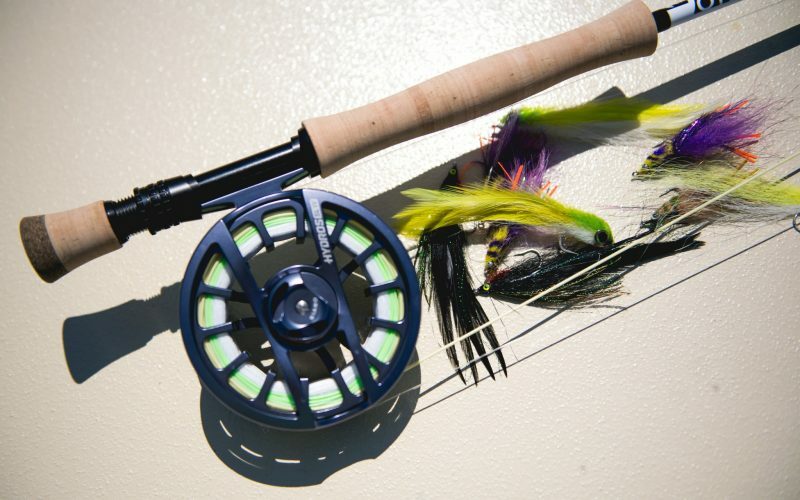 Winter through early Spring calls for scaled down flies. Little to no flash and small bead chain eyes. 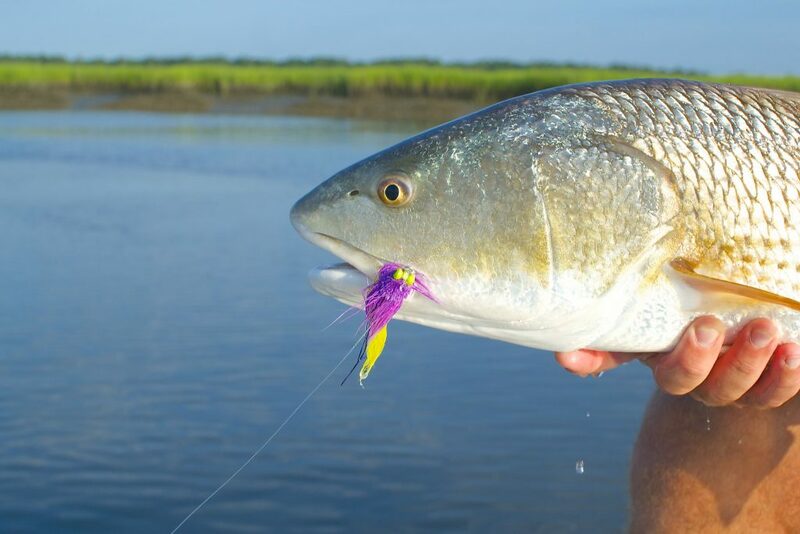 Sparsely tied Clousers minnows and small Kwan style flies are great choices for winter Redfish. As the water begins to turn cold and clear, Redfish gather into large schools for safety. Large groups of fish makes them easy targets, so they can receive a lot of angling pressure. Weary Redfish especially call for a stealthy approach. Frequently using longer leaders, lighter tippets and small soft landing presentations can help to not spook the fish. When fishing winter schools it’s important to cast beside the school at the outside fish. Casting into the meat of the school can often blow them out. Furthermore if you find yourself on a school of winter Redfish, try to exercise some restraint. Don’t BEAT UP the school. Catch a few fish and move on. Putting lots of pressure on a winter school of Redfish not only educates them but can put them down for weeks. I prefer to have my anglers take a few shots, catch a couple fish and move on to the next spot. Below is a video of one of my everyday Redfish fly. 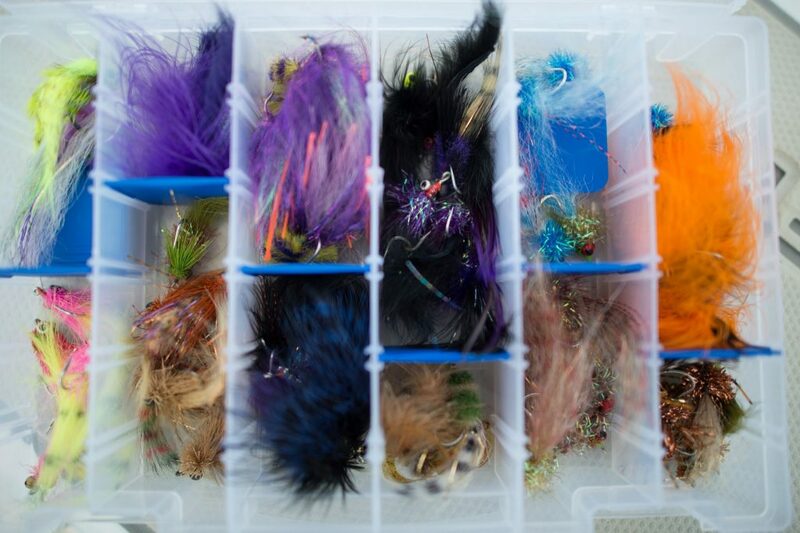 My fly boxes are stacked with this pattern in various weights and colors. Something tells me Montana Grasshoppers would work for bonefish too. I need to get to warmer salt water again. Soon.